According to Reuters today, Yahoo! 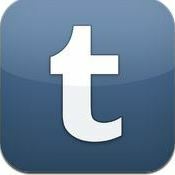 is acquiring Tumblr in a deal valued at $1.1 billion. CEO Marissa Mayer continues to drive to make Yahoo more relevant to a younger audience and is not afraid to use acquisitions. Interestingly, it’s an all cash deal, which means that Yahoo! is valuing its stock more than its cash at this point. Also, if Tumblr’s revenue is about $13M, then that’s about 85 times revenue, a princely sum indeed. Yahoo! has to believe the traffic and the social media hole plugging will be well worth it. These are the kinds of transactions that are the exception to the everyday M&A world but serve as an example of what a motivated buyer will do to reform or defend its business.